Share the music on your PC, mobile phone and other Bluetooth devices with the S204 SuperBass Portable Wireless Bluetooth Speaker – a good sound quality speaker. 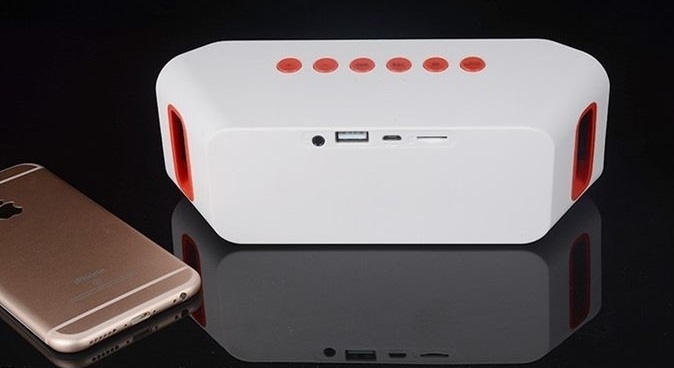 The S204 SuperBass Portable Wireless Bluetooth Speaker works wirelessly and with Auxiliary on your iPhone, Android, Blackberry, tablets, and laptops. Just pair or plug in and play the speaker with your Bluetooth enabled device. It’s simple and you only need to do it once.